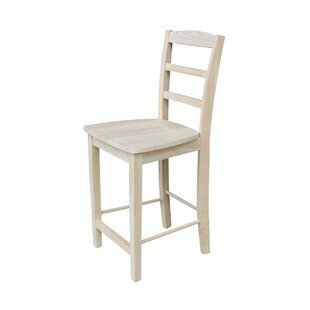 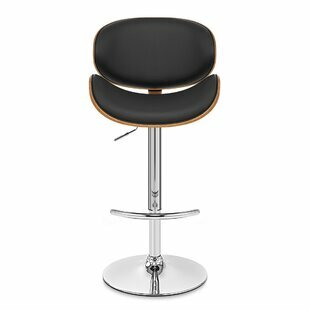 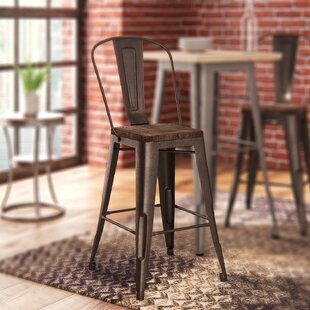 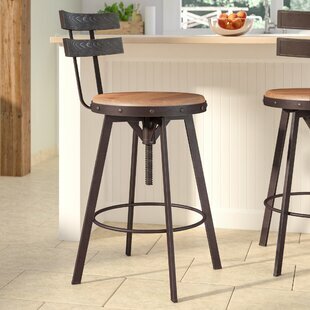 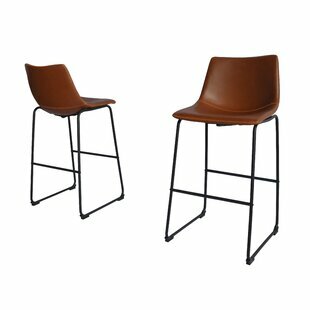 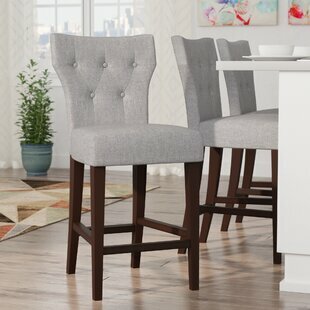 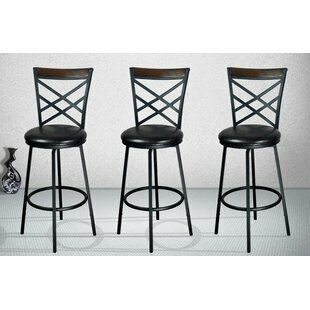 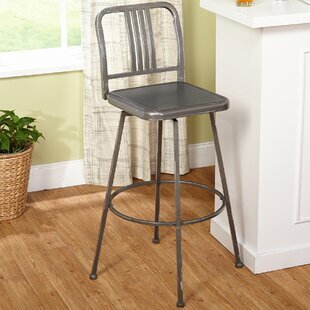 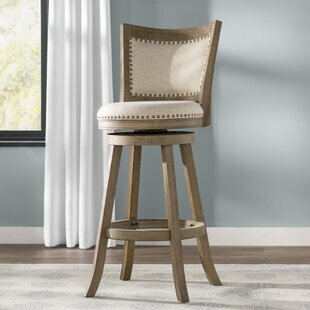 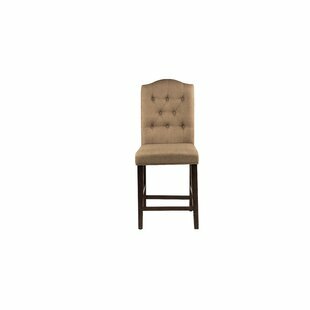 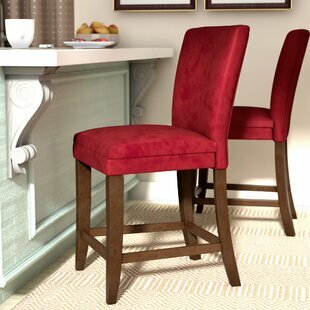 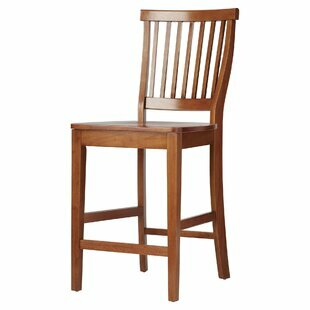 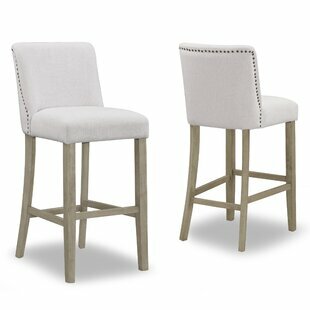 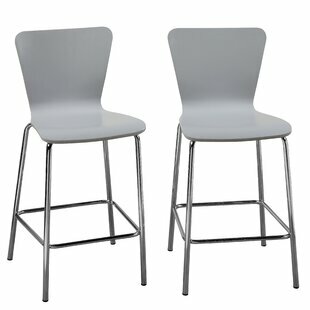 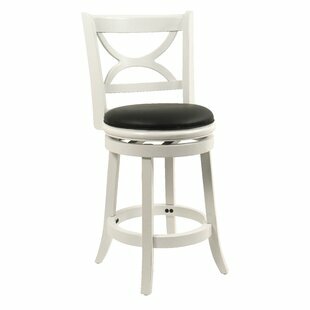 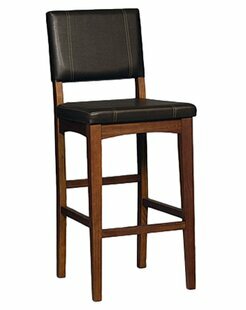 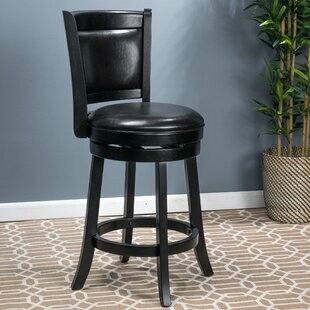 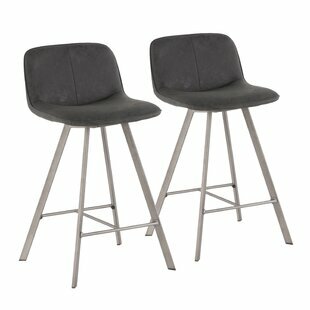 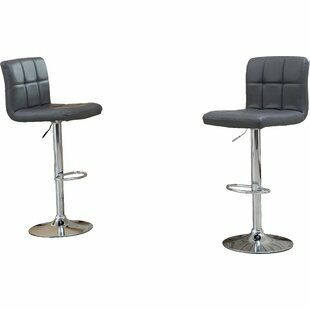 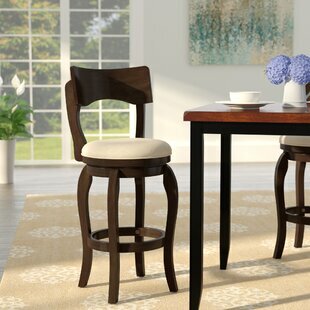 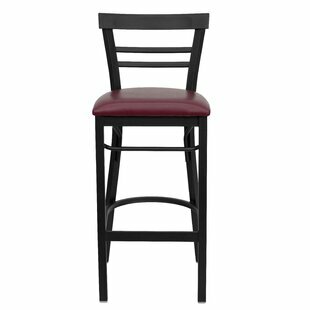 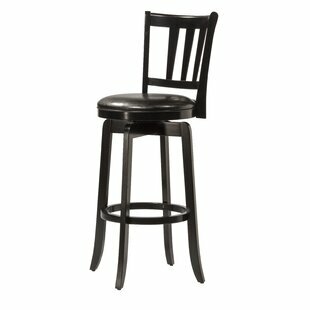 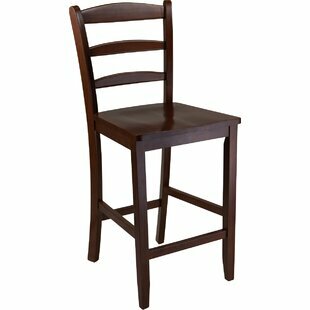 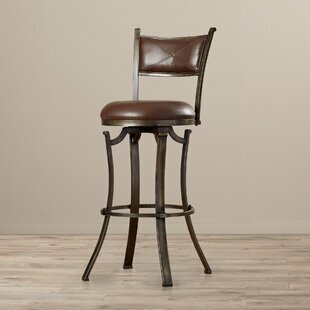 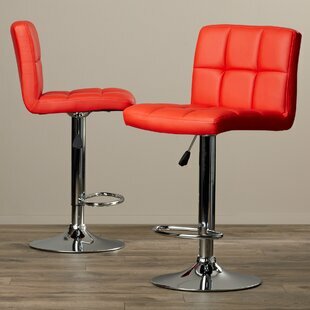 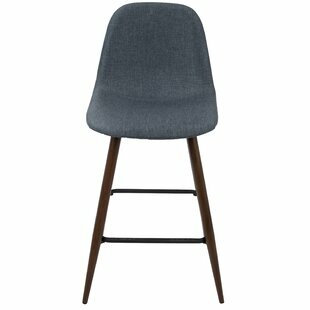 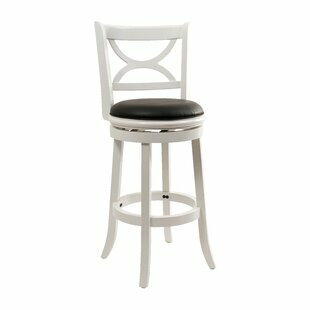 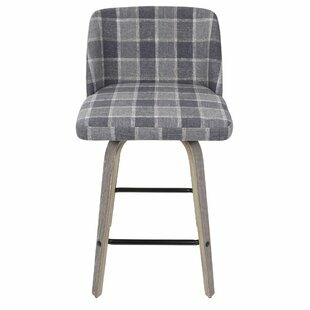 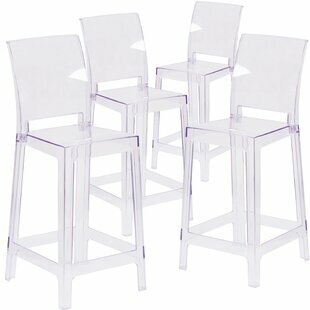 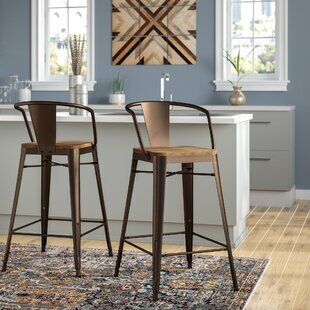 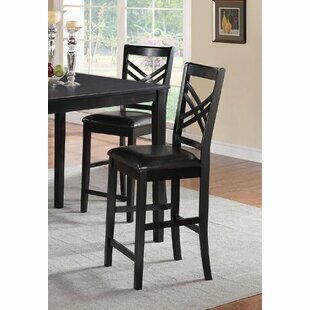 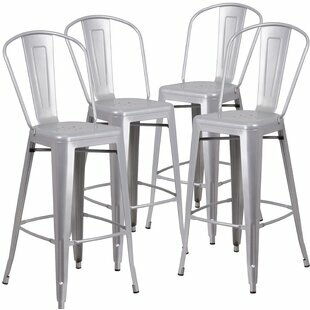 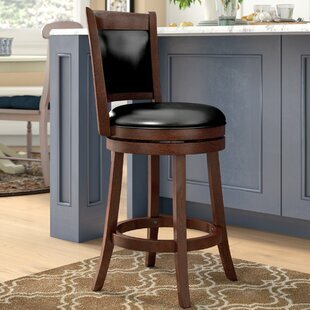 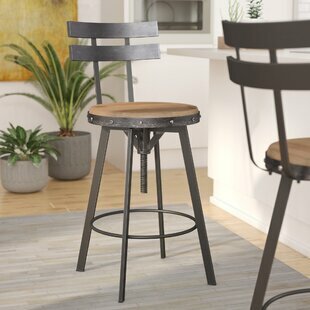 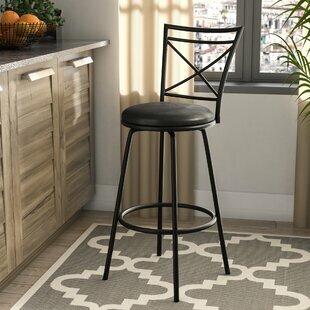 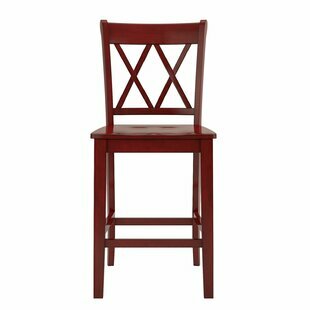 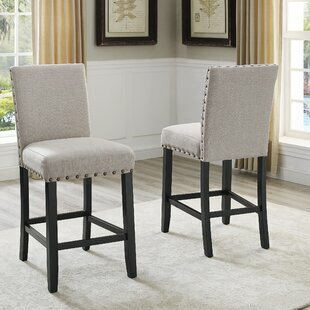 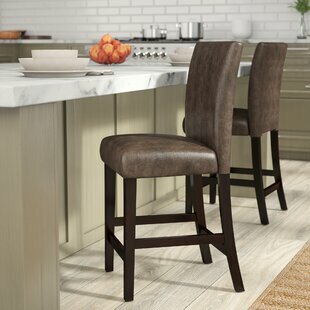 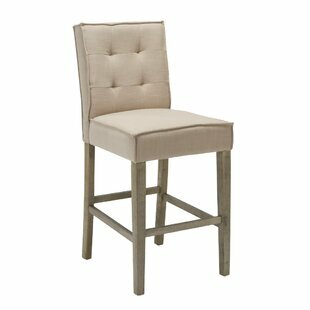 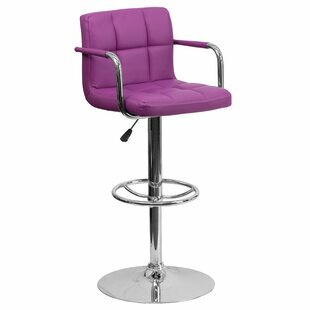 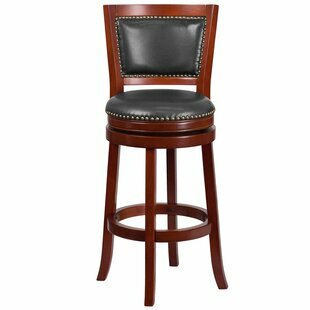 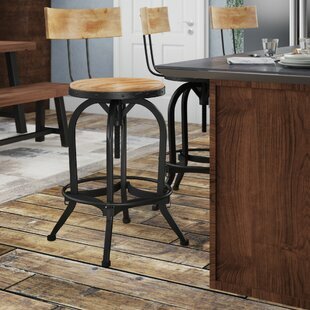 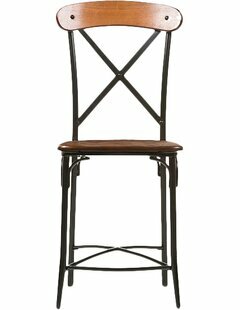 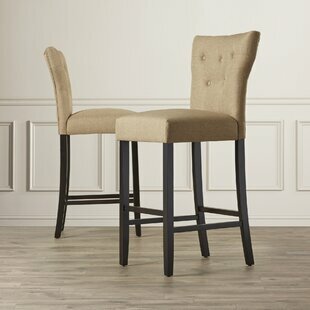 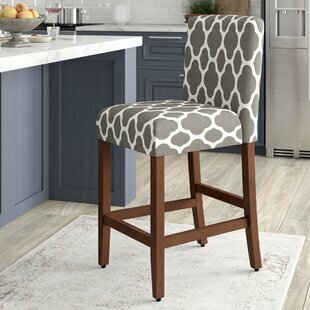 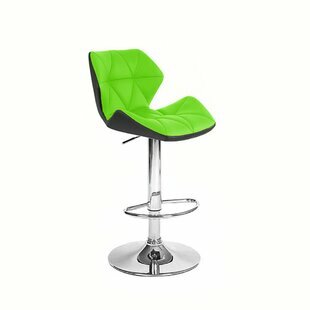 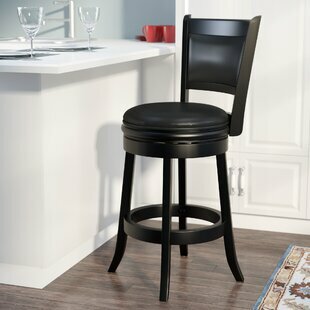 Draw the eye to your favorite seating space with this 25" bar stool, showcasing a tapered silhouette for visual appeal. 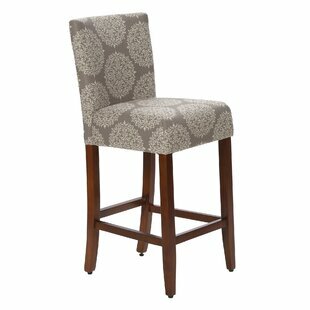 Founded atop a plywood and hardwood frame, this budget-friendly piece is filled with high-density foam and upholstered with solid-hued fabric made from a blend of 45% polyester, 45% rayon, and 10% linen. 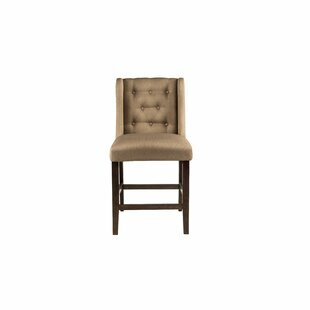 Its neutral tones allow it to pair perfectly with most color palettes, while button-tufted details lend this understated design a touch of texture. 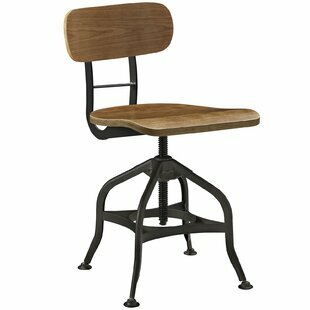 After assembly, it supports... Seat Material: Fabric Frame Material: Solid + Manufactured Wood Upholstery Material: Polyester Blend; Linen Blend; Rayon/Viscose Weight Capacity: 250lb.